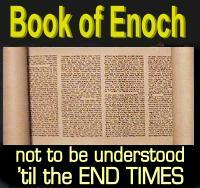 Scarcely any department of theological science can proclaim awareness without the study of the text, Enoch. What is it, what does it mean, what can this mean? This question has been asked over the generations. Is that time now? Do many of the vague notions now have meaning in this age of technology? Observant leaders of philosophy are just now becoming aware of meanings that were hidden. Hidden because they were future meanings, not understandable in the past, but becoming clearer as man's knowledge, his way of thinking, and the assistance of technology and man's inventions that did not exist (but did it?) in the past, become an accepted way of life. Did we inherit the Earth from long past destroyed civilizations? Are we destine to continue the cycle? The Past, or the Future?